Francis De Luca tried to thread a legal needle but instead poked himself in the eye. 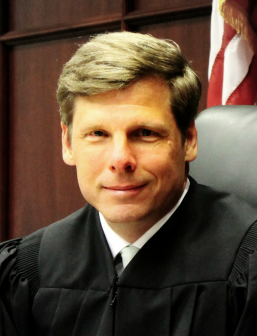 Wake County Superior Court Paul Ridgeway ruled in favor of Attorney General Josh Stein in granting a motion for summary judgment. In a lawsuit filed last October, De Luca, the director of conservative group Civitas, had claimed that millions of dollars generated by a 2000 settlement agreement between the state attorney general’s office and Smithfield Foods were being unconstitutionally disbursed. But beneath the surface, De Luca’s lawsuit appears to be less about the recipients — conservation groups, universities and other nonprofits — or the money spent to enhance and improve the state’s environment. Rather, although never articulated, the subtext of the litigation, as the American Spectator wrote, was that Chinese money illegally funded Roy Cooper’s successful gubernatorial campaign against Pat McCrory. The backstory starts 17 years ago when, after then-Attorney General Mike Easley negotiated a settlement agreement with Smithfield Foods requiring the company to commit $15 million for the development of “environmentally superior technology” to manage swine waste. Additionally, the company was to annually pay an amount equal to $1 per hog that it owned in North Carolina, for the next 25 years. The amount was capped at $2 million a year. Those payments have since gone into an escrow account managed by PNC Bank. Each year, as part of the Environmental Enhancement Program, the attorney general’s office solicits proposals and then awards funding to groups working on environmental projects that would improve water quality in the state. Stein, who inherited the litigation, provided several affidavits from attorneys and state environmental officials who were privy to the original agreement. All stated under oath that the settlement was not related to a civil penalty. For one, the state had taken no enforcement action, nor assessed any penalties against Smithfield. And besides, the agreement was with the AG’s office, not state environmental regulators, which can “solely assess” civil penalties. Nor did the settlement foreclose on the possibility that the state could take enforcement actions in the future. In 2013, the Pamlico-Tar River Foundation, now part of Sound Rivers, received $129,303 from Attorney General Roy Cooper as one of the Environmental Enhancement Program’s grantees. That same year, Chinese company Shuanghui International bought Smithfield. With other nonprofit groups, Sound Rivers belongs to the NC Environmental Partnership, which in 2016, spent money on political ads supporting Cooper and opposing McCrory. Thus, Chinese money, via the settlement agreement, paid for the political ads. The Spectator story insinuated that the Sound Rivers grants could have been used illegally, in part because foreign money can’t be spent to influence U.S. elections. However, even this point isn’t entirely true. U.S. subsidiaries of corporations based overseas have set up more than 160 political action committees, according to factcheck.org. The Federal Elections Commission ruled that domestic subsidiaries of foreign corporations may establish federal political action committees (known as separate segregated funds or SSFs) for the purpose of make federal contributions and expenditures, so long as US citizens make the decisions regarding expenditures and contributions. Presumably, the same test applies to state elections. The overarching problem with De Luca’s argument he lacks proof that the NC Environmental Partnership used any part of Sound Rivers’s grant funding to buy the ads. As for De Luca’s legal case, it’s done, unless he decides to appeal. De Luca had asked the court to stop Attorney General Josh Stein from disbursing any funds to the environmental cause. In addition, De Luca argued that those groups should repay the money for the past three years, which is the statute of limitations. But Ridgeway essentially dismissed De Luca’s claims and granted the motion for summary judgment, as requested by Stein, Sound Rivers and the NC Coastal Federation. Those two groups had been approved by the court to intervene in the case; they were represented by the Southern Environmental Law Center.